While there are undoubtedly some health benefits to regular very moderate alcohol consumption, (heart health and red wine, for example) binge drinking is never good for you, and on a societal scale, our enormous binge drinking habit results in definite social consequences. 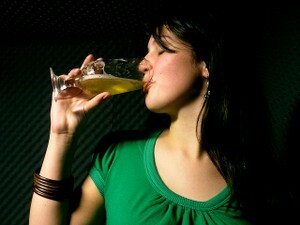 Binge drinking refers to consuming 5 or more drinks in a session (within a few hours). A drink refers to a regular sized glass of wine (5 ounces) a regular strength bottle of beer or a cocktail containing 1.5 ounces of 40% alcohol spirits. Binge drinking is bad for your health and well-being. For good health and a long life, if you choose to drink, drink only in moderation. Whether or not you choose to binge drink, everyone is affected by the alcohol choices made by those in their communities. By making a conscious choice to limit how much alcohol you’ll consume during a night out on the town you can avoid dealing with the negative consequences of overindulgence. Health Promotion Board: Why Is Binge Drinking Bad for You? Should you or shouldn’t you quit drinking or drugs? Ambivalence is normal, but you’ll feel better once you make a firm decision, one way or the other. Here are 4 easy exercises to help you.